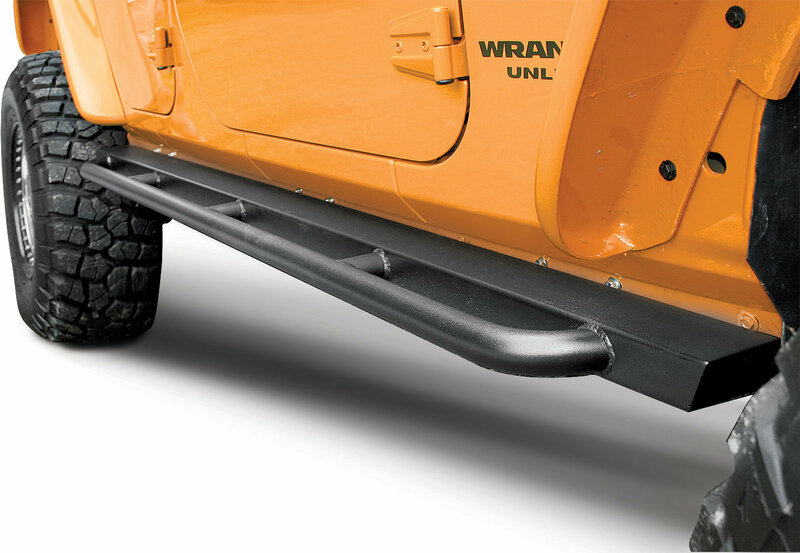 If you are looking for some extra protection for your rocker panels plus a side step then look no further then Body Armor's Rockcrawler Side Bars for your Wrangler Unlimited JL. These side guards have an 2" x .120 wall round tubing that acts as a step to help you get in & out of your Jeep. 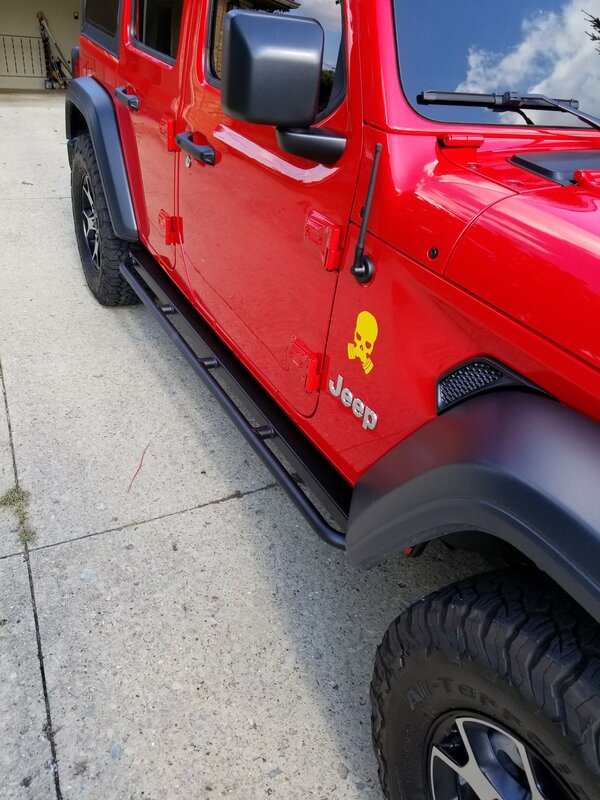 Simply bolt these guards on and enjoy the peace of mind knowing that you have just added some extra protection to your Jeep. Construction: Made from heavy duty 2"x3" rectangular tubing with an extra 2" kick out feature these guards double as rocker guard protection along as a side step. 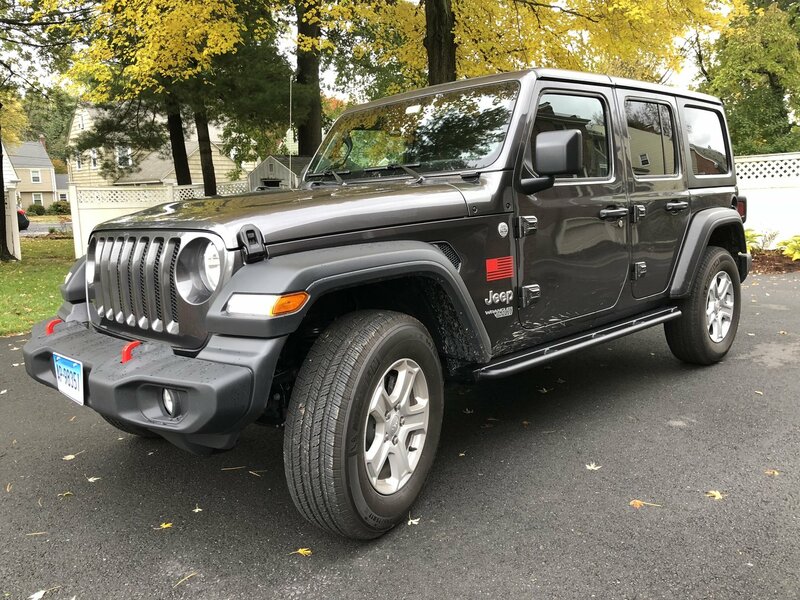 Easy Installation: With no drilling or modifications needed these guards just simply bolt on giving you the ultimate protection for your Wrangler JL. Love how these look and installation was fairly easy, although a bit time-consuming (2-3 hours). Taking off one star because there were a couple bolts I could just not get in no matter how hard I tried...still plenty secure, though. Easy installation and looks great!! !..